Took a while to get to sleep last night as we just couldn’t get the Blue Danube Waltz out of our heads, but I guess we must have eventually, as we woke to find another Viking Cruise Ship docked right next to ours! Didn’t hear that one arriving, these Viking cruise ships are incredibly quiet when they move. So, a full day in Vienna today. There were plenty of tours on offer today that are included in the price of the cruise package plus many optional tours on offer too. 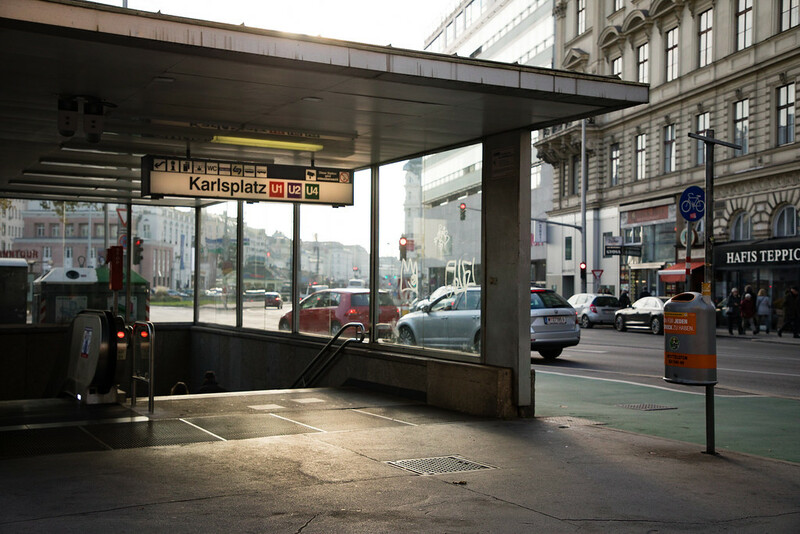 However, Jon and I decided to explore the city by ourselves; well, it was only a short walk from the ship to the Ubahn, Austria’s metro, then just four stops to the city centre. 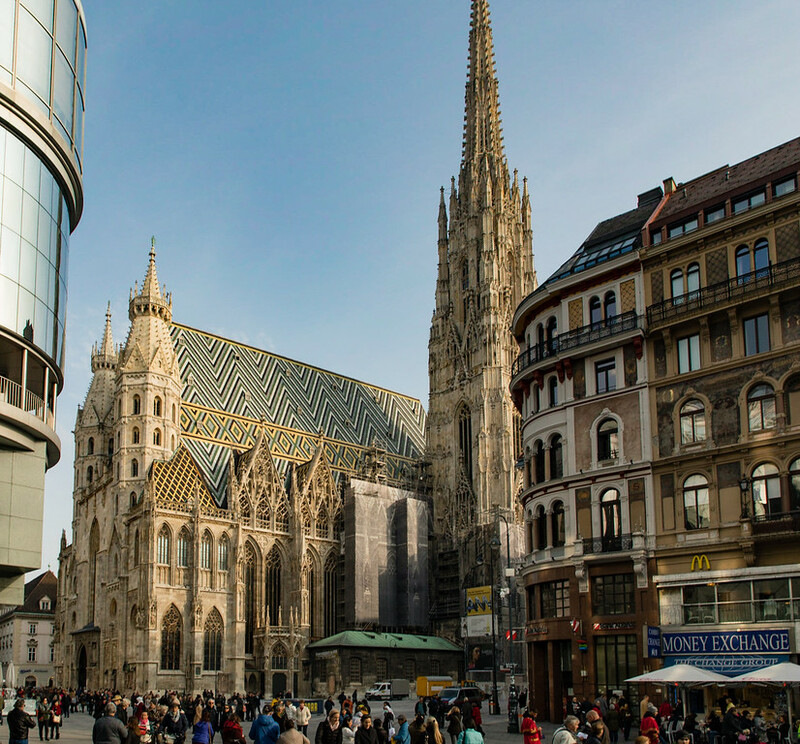 So, after our Eggs Benedict and eager to explore, armed with our Viking provided maps of the metro and instructions how to get back to the ship, we headed over to St. Stephen’s Cathedral, located in Stephensplatz, in the centre of Vienna. This is the most important church in the city, with a uniquely colourful roof, that can be seen from almost anywhere in the city. Not far, from the cathedral is the Mozarthaus. 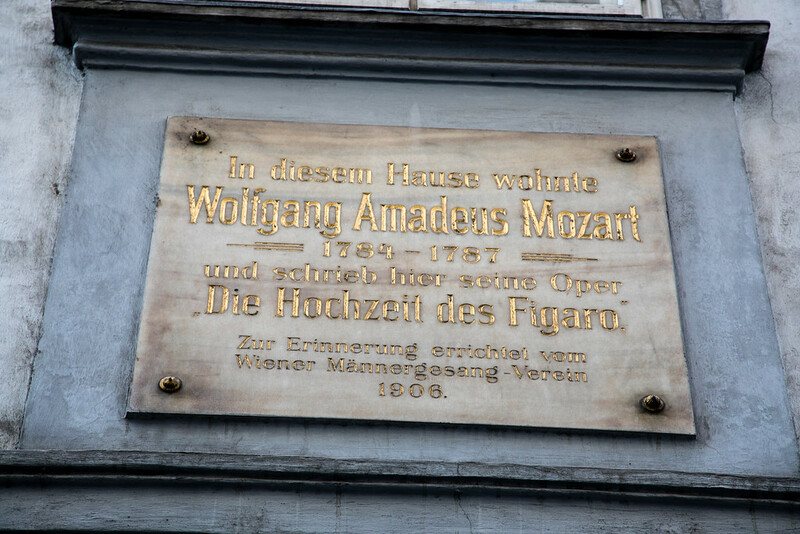 Now a museum, this is where Mozart lived from 1784 to 1787, and an interesting place to spend an hour or so. From here, we wandered through the streets until we arrived at the Hofburg Palace. 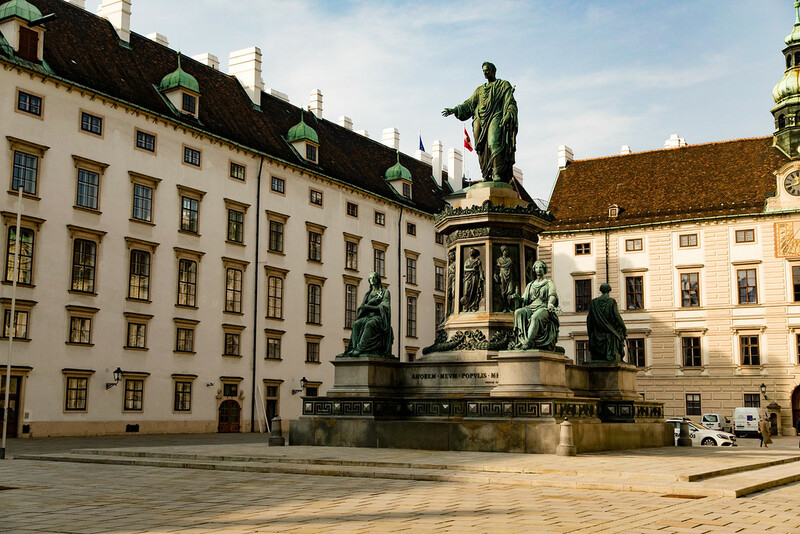 This palace belonged to the Habsburg family, one of the most powerful dynasties in Europe. Today, the palace is home to many museums and the world-famous Spanish Riding School but alas we were only in Vienna for one day, so not enough time to visit, we had so much more we wanted to see. So, again, we set off down the streets towards Naschmarkt. 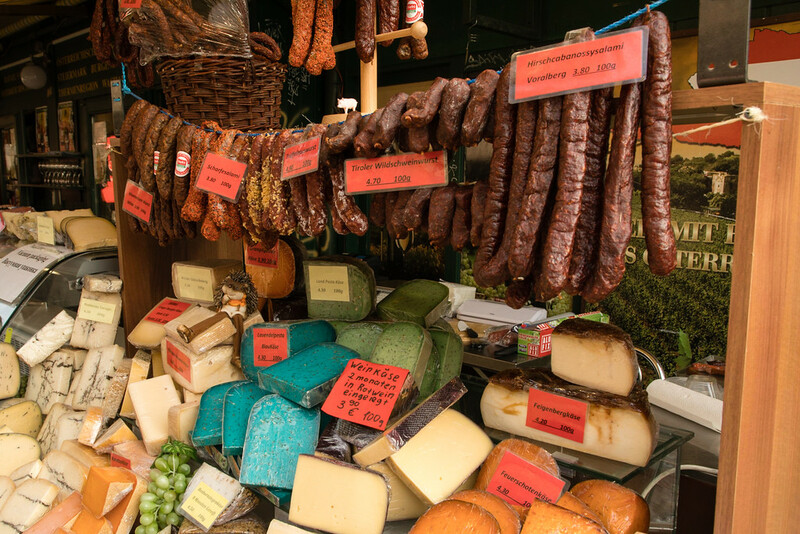 This is the largest, busiest and most famous market in Vienna and it’s really worth a visit. It’s a mile long, outdoor market offering loads of incredible looking, fruits and vegetables, cheeses, breads and spices and many places to just sit and relax. We relaxed here for a while and enjoyed a lovely cup of mulled wine. 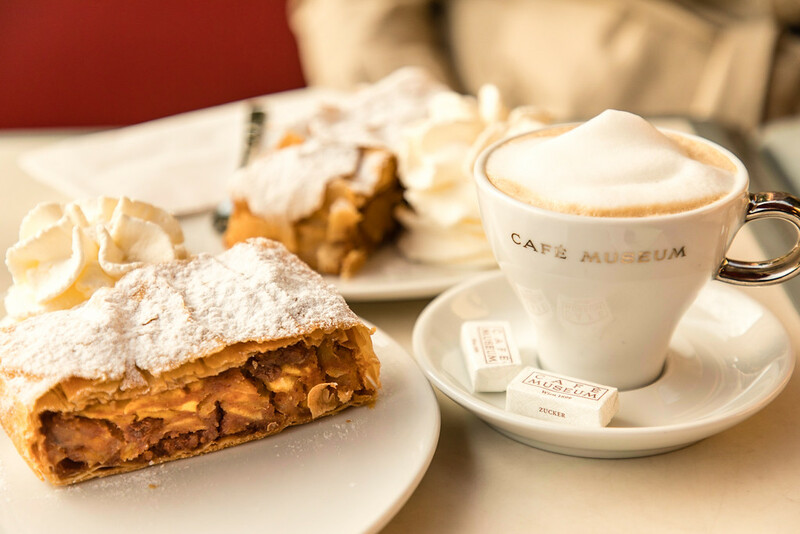 We explored the market for a while, trying tidbits from various stalls, then just a short walk away, we stopped for coffee and an apple strudel (well, as they say, when in Vienna) at the Café Museum, once a favourite meeting place for many Viennese artists, such as Gustav Klimt. Feeling tired, but with more to see still, we jumped on a tram towards Belvedere Palace, only it was going the wrong way, so we had to walk even further in the end. But we needed to walk off that strudel. 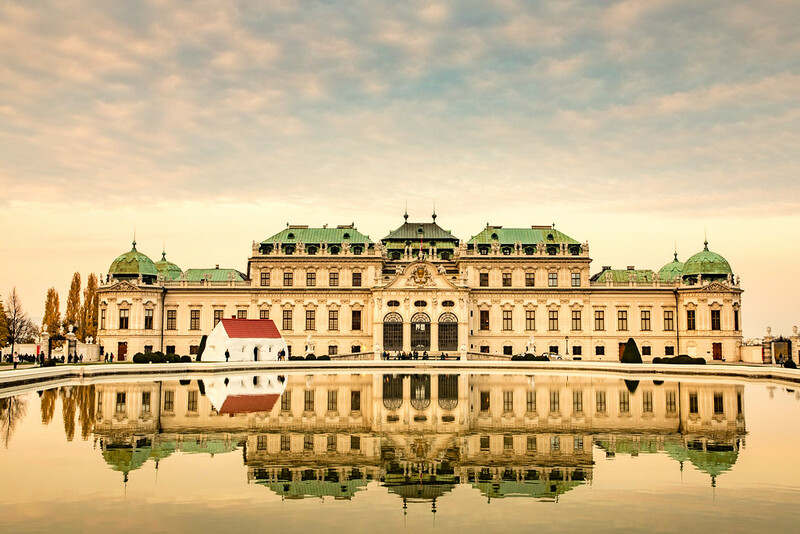 The Belvedere (www.belvedere.at) is an excellent example of European baroque style architecture. We didn’t have time to go inside, but if you’re interested in Klimt’s art, his most famous work, ‘The Kiss’ is found here. From here, we jumped onto another tram, going in the correct direction this time and jumped off to look at Vienna’s impressive opera house. Outside the opera house, you will find many men in traditional costumes, trying to sell you tickets. They are somewhat persistent, and their tickets seem very overpriced. I would suggest buying tickets through more legitimate sources. And so, just a short walk away, we were back at St Stephen’s Cathedral. In the morning, we had noticed all the Christmas lights around the city and hoping they would be lit but alas we were about a week too soon. Exhausted but happy after a fab day exploring the city, we headed back to the ship for dinner, a good bottle of wine and an early night. Wish we could have had more time in Vienna, what a fantastic city. Great trip report, I am enjoying learning about it as we’re going on our first Viking river cruise in a couple months…..just FYI the link to The Kiss doesn’t seem to be connected. Thanks for your great blog info. Thanks Cheryl! Which trip are you taking?